Following tense negotiations for 3 weeks between the new Greek government and its international creditors consisting of the Eurozone and the IMF, a deal was found that will extend the indebted country’s financing program for an additional 4 months. The current program between Greece and the EU / IMF was due to expire at the end of February. In order for the deal to be approved by Eurozone finance ministers (the so-called Eurogroup), a list of reforms had to be drafted and submitted by Athens by Monday. The list has been approved as a starting point of negotiations between Greece and its creditors, although the IMF criticized the list as lacking “specificity”. It was not so clear whether the International Monetary Fund was fully on board as it had some doubts, according to the organization’s Managing Director Christine Lagarde. Among other measures such as fighting tax evasion, Athens has promised not to roll back any reforms that were implemented previously (including privatizations) as well as to refrain from enacting measures that would have a negative impact on the budget. The next important deadline will be in April, when an evaluation of the implementation of Greek reforms will be made by the institutions such as the European Commission, the IMF and the ECB. If successful, additional financing will then be given to Greece. 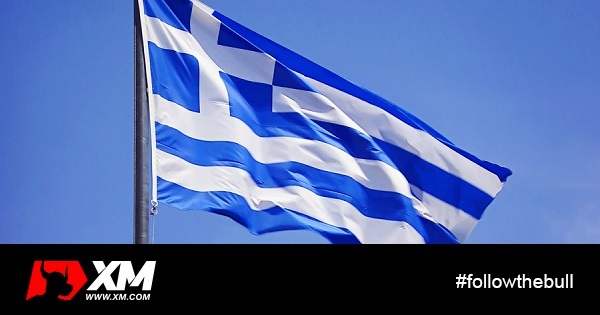 By the time the 4-month extension lapses, Greece will have agreed on a new adjustment program with the country’s creditors as the country appears unable to access markets on an ongoing basis despite soon completing 5 years enacting an economic adjustment program. The Eurogroup approval of the Greek proposals is a positive first step in this process as it shows both the willingness of Greece to work constructively with its creditors and the creditors’ flexibility to give the new government some time and to draft its own list of reforms. The Greek government could eventually face domestic pressure because of its retreat from its more radical initial proposals but the public might still credit the government for doing its best to secure a deal. The markets were not particularly moved by this development since an agreement between Greece and its creditors was expected, despite the high political drama that was on display before the deal was reached. The euro was stable around 1.1325 against the dollar as the market may return to more familiar major themes such as deflation in the single currency area, the ECB’s QE program and the prospects for higher interest rates in the United States.